Today is the first day of ChaBooCha Lite. This is a challenge I first participated in during 2012 and have done every year since it began. 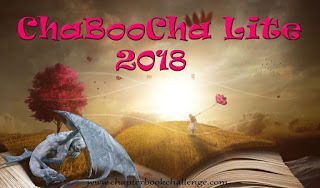 All my currently published middle grade books were written and/or edited at some point during the Chapter Book Challenge (March) and ChaBooCha Lite (September). This challenge is one that is in my calendar every year as I know it helps me to reach my writing goals, and there is an amazingly supportive community around it too. I have my story chosen and I’m looking forward to getting the draft done by the end of September. If you want to write Chapter Books, Middle Grade Books, or YA books, join us. It’s free, just sign up here.